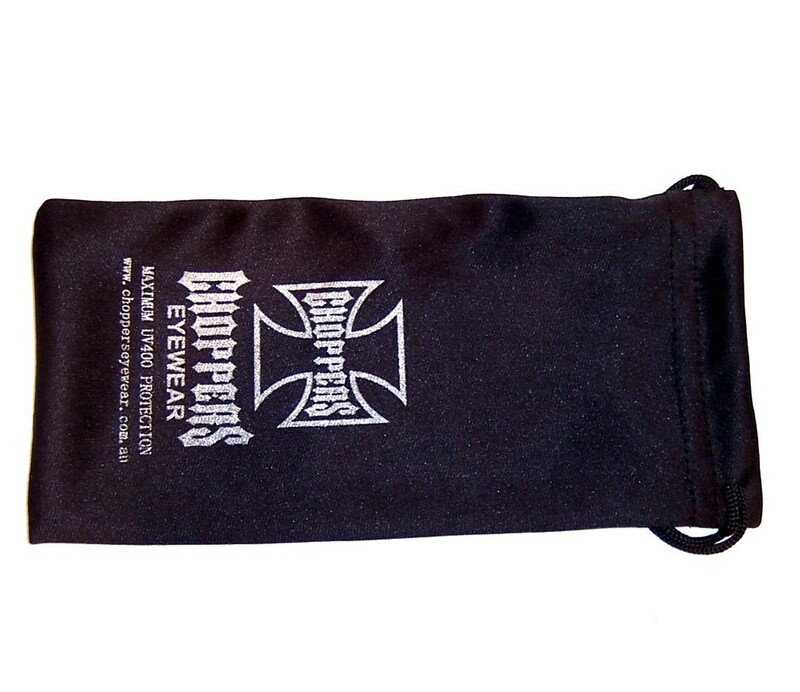 Soft micro-fiber pouch with CHOPPERS logo. It is nice to carry the CHOPPERS Eyewear micro fiber bags for people who purchase this brand. These are great for cleaning the lenses of the sunglasses and also storing them, it gives the sunglasses some protection from scratches and dust.